The bullwhip effect has been studied extensively by researchers using analytical and empirical models based on a single product. We extend the current theory to provide insights for a firm that manufactures multiple products in a single product category with interdependent demand streams. We find that interdependency between demand streams plays a critical role in determining the existence and magnitude of the bullwhip effect. 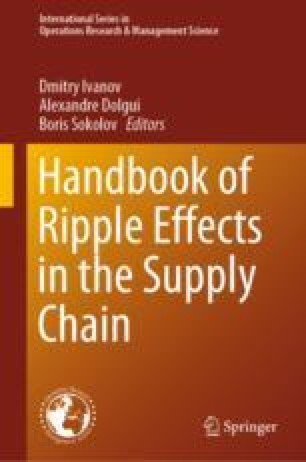 More importantly, we show that interdependency impacts whether the firm should manage ordering and inventory decisions at the category level or at the product level, and whether the bullwhip effect measure computed at the category level is informative or not.